Extreme Gear for Extreme Users! As stated on my dealers page, I do not stand to gain anything monetarily from any of the manufacturers of gear reviewed here. This way, you can be assured my opinions are unbiased. If you are a manufacturer and would like to submit gear for review, please send us an inquiry and we will contact you with further information. Click on smaller images to view the larger version. I recently purchased a tactical vest manufactured by Paraclete. It is called the Releasable Assault Vest (RAV). The RAV is very versitile and is covered inside and out with PALS webbing, allowing the attachment of MOLLE I and II accessories as well as those made by Maxpedition, Tactical Tailor, Blackhawk STRIKE, and others that utilize PALS webbing attachments. I have a 42" chest and the medium fits me fine. It doesn't feel bulky on me, though I could see it would get quite heavy and cumbersombe if there were soft armor panels and/or rifle plates installed. The construction is top-notch. I am very impressed with the quality. I can easily carry a Tactical Tailor medical pouch, full compliment of pouches, Camelbak hydration bladder, Motorola Saber I radio, Surefire M2 flashlight, ACR MS2000 military signal strobe light, and it all feels fine. Easy to reach the equipment. Extraction and reholstering of gear wasn't a problem either. The vest seems expensive for what it is. I was able to get mine at quite a discount off of MSRP, but if you don't need the releasable capability, you might opt for their standard vest without release capability. The RAV also came with the shoulder pads included. These cover the tube/wire routing covers on the vest and serve as additional padding for your rifle sling. There is a large swath of the fuzzy side of Velcro on the front outside and inside of the vest. I'm not sure of the purpose of the interior Velcro, but you can easily attach a nameplate to the outside part for identification as well as IFF glint tape, morale patches, unit patches, etc. The tube and wire routing are smooth and a welcome change from the RAV. I simply do not understand why gear manufacturers are flat-out refusing to provide this feature on their vests. 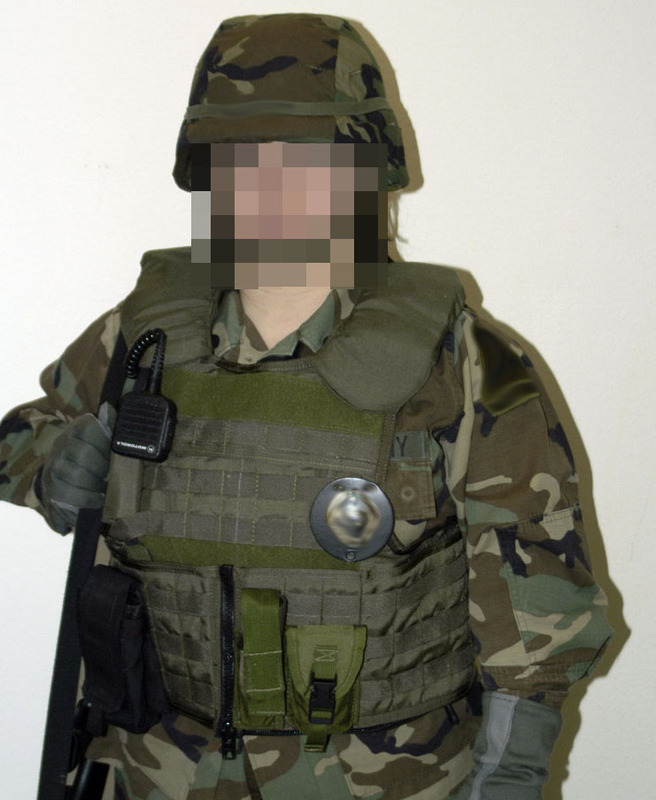 The presence of such devices only increases the overall cost of the vest by a modest amount. It is worth the couple of extra dollars it would cost them to add this to not have the headache of keeping your commo gear and hydration tubing straight. It is very easy to don and doff the vest, even when not using the quick-release feature. The interior cummerbund wraps around and is held in place by Velcro until you wrap the exterior cummerbund around and attach it with the large, number 10, plastic YKK zipper. An ingenious idea, the zipper closes in the DOWNWARD direction so you don't have to worry about it coming undone...gravity works for you here. The back panel is zippered on both sides for easy removal. While Paraclete markets this as a great feature so you can quickly interchange pre-configured back panels for different missions to save time, I'm not sure how practical that is given the expensive nature of their pouches. 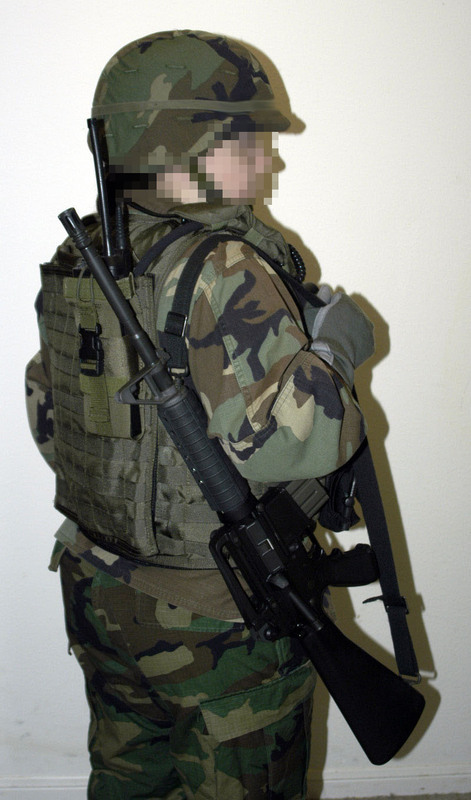 If you bought an extra Paraclete back panel and outfittedit with Tactical Tailor pouches, it would be a lot more cost-effective. Also included on the back panel is a hydration pouch. This held the bladder from my Camelbak Transformer just fine. I also bought a Paraclete hydration pouch and have it installed on the back panel currently. 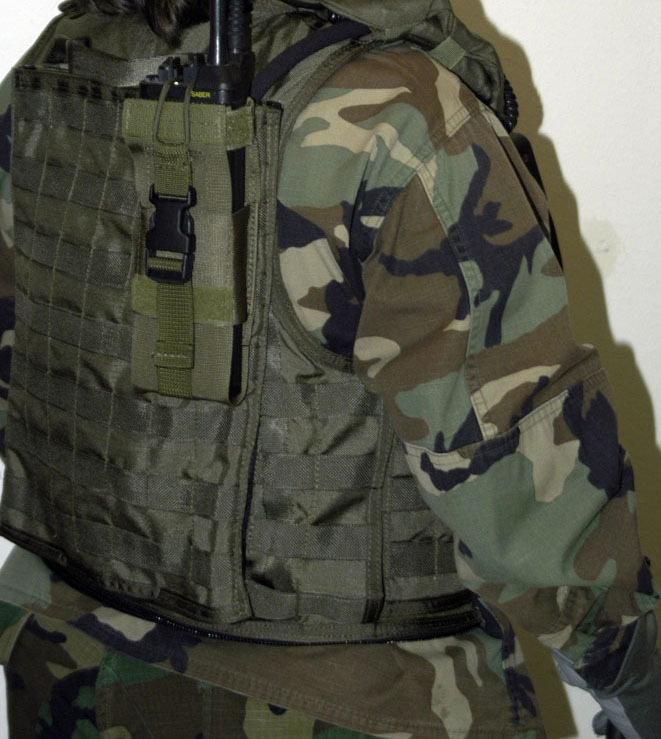 You may opt against that when having to carry a PRC-77 or PRC-119 on your back...the Paraclete hydration pouch has PALS webbing all over it, but would preclude your being able to carry a large radio on the back panel at the same time. More will follow as I use the vest in the future. Check back often for updates and visit the forums to discuss this or any other military equipment.